I am honored to have the opportunity to speak on behalf of the Government of the Islamic Republic of Afghanistan in this timely and important discussion on the Global Economic and Financial Crisis. At the outset let me thank H.E. theÂ President, for his initiative in convening this meeting at a time when the global financial and economic crisis seriously threatens the livelihood and well being of millions of people all over the world. 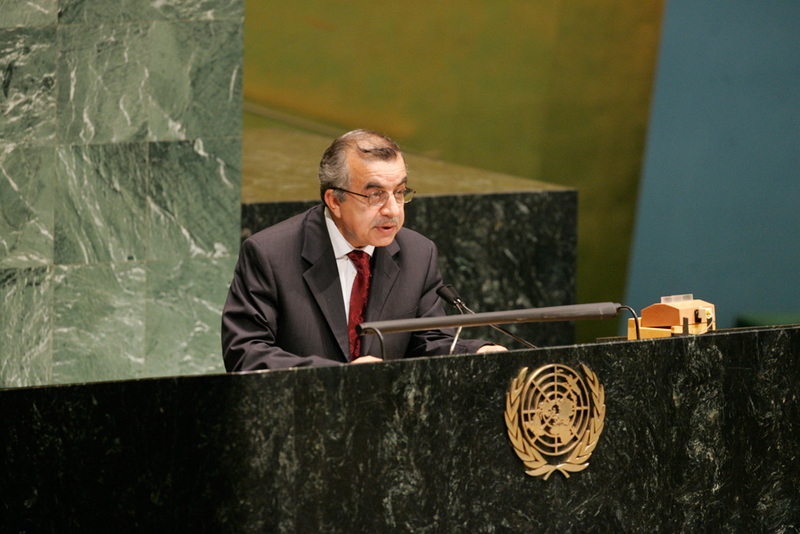 I would also like to thank the Secretary-General for his efforts in this regard. In order to prevent lasting damage, particularly to developing countries, we must maintain focus and resources on the development agenda, particularly for those countries in a special situation, we should improve and encourage both North-South and South-South partnerships, and we must improve the quality of aid and accountability. The international community is facing the most severe financial and economic crisis of the past several decades. And it is those least responsible for it, the poorest among us, particularly women and children, who are hit the hardest. The global financial crisis exacerbates other already severe problems: of energy, environment and food that particularly affect the developing countries of the South. Already poor countries are becoming even more mired in poverty. been hit severely by this crisis and will find it difficult to implement its National Development Strategy and achieve its MDGs and other IADGs without intensified international support. Moreover the impact of the insecurity caused by the Taliban in parts of Afghanistan combined with several recent natural disasters has increased the need for additional resources for humanitarian assistance to hundreds of thousands of displaced and vulnerable people. Afghanistan and other countries in a special situation need additional funds and resources for social protection, food security and human development. We are at a critical juncture that requires rapid, decisive and coordinated action. To defuse this crisis, to address the causes of the crisis and to prevent similar crises in the future, we all have to work together to prevent the current tenuous situation from becoming a social and human disaster with implications for the lives of millions of impoverished people, the implementation of the MDGs, political stability and peace. 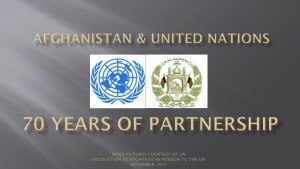 Afghanistan believes that the United Nations is in a position to play an important role in coordinating international co-operation towards solving international problems of an economic, social, cultural, or humanitarian character. We encourage our international colleagues to make sure that UN development agencies are fully resourced so that they can increase their technical and financial assistance to the governments of LDCs,Â LLDCs and other countries with special needs. 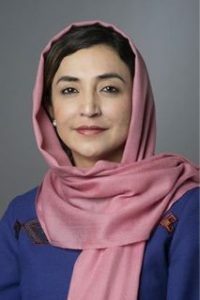 The Government of Afghanistan also supports the Secretary General’s High-Level Task Force on the Global Food Security Crisis in connection with international efforts on setting-up a Global Partnership on Agriculture and Food Security. Afghanistan also sees the necessity and potential of North-South collaboration, in addition to cooperation between countries in the South. We have an active and crucial partnership with our regional neighbors, and also with the international community as a whole, and we can testify to the value in different sorts of partnerships. Cooperation can be best accomplished through improving the operations of international and regional institutions, supporting international and regional cooperation, and increasing the effectiveness of international and regional efforts in recipient countries. donor agencies to adhere to the Paris Declaration on Aid Effectiveness in order to ensure national ownership in the development process. Lack of donor coordination, incomplete reporting, lack of transparency and unpredictable aid are all challenges that need to be addressed in order to ensure the best use of our money. And particularly now, at a time of limited resources, it is important that donors prioritize the efficiency, accountability, and the principle of national ownership. The Government of Afghanistan considers the substantive and comprehensive reform of the international economic and financial institutions to be a matter of urgency. This sort of crisis must not occur again. Afghanistan joins all developing countries and reiterates their call for an early, successful and development-oriented conclusion of the Doha round of trade negotiations that places the needs of developing countries at its highest priority. Afghanistan also supports the Hong Kong Ministerial Declaration to implement duty-free and quota-free access for LDCs. Afghanistan trusts that the outcome of this important historic Conference will reduce the suffering of millions of vulnerable people all over the world and will protect the world from future crisis.